Sponsored by Bayer, the program is provided annually to an outstanding writer for excellence in plant health issues to the appropriate green industry audience through writing, including new media, for a publication or publishing company. The winner of this program must be a TOCA member. Plant-specific articles related to the health of the plant. Water issues and its effect on turf, shrubs, flowers, etc., regarding green spaces. Fertilization/nutrient management innovations and its effect on green spaces. Pesticide innovations and its effect on green spaces. Mowing technologies and how new methods affect plant health. Growth regulators and the effect these technologies have on plant health. Winners receive a $1000 stipend to be used toward professional development or to attend the annual TOCA meeting. 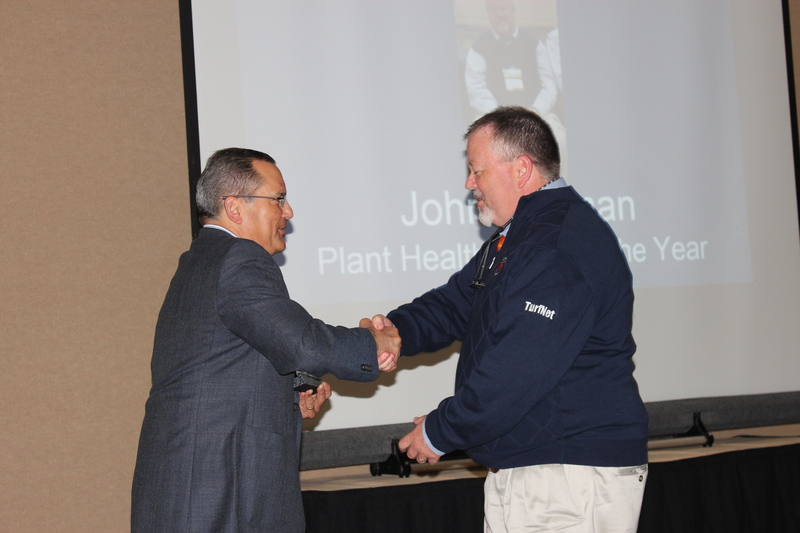 John Reitman, TurfNet, is named the 2017 TOCA Plant Health Writer of the Year. Reitman writes on a number of turf issues in his role with TurfNet. Larry Aylward, editor-in-chief of Superintendent magazine, is the first two-time winner of the TOCA Plant Health Writer of the Year program. Howard Richman, GCM magazine, is awarded TOCA Plant Health Writer of the Year. Richman's definitive piece "The dirt on plant health," is highly regarded in the industry. He is also earned a 2015 Gardner Award from TOCA for "Aftermath," which appeared in GCM's May 2014 issue. Karl Danneberger, Ph.D., is the recipient of the 2014 award for the TOCA Plant Health Writer of the Year. Dr. Danneberger is a turfgrass science professor at The Ohio State University and also the "Turf Doc" at Golfdom magazine. Larry Aylward, editorial director of Superintendent magazine, is the first winner of the TOCA Plant Health Writer of the Year program in 2013.